50-year-old Mario Dos Santos died yesterday morning after a major accident on the Brussels outer ring. Besides being a truck driver, Mario was also a singer-songwriter with the well-known electronic music band Arsenal. In 2005 Dos Santos wrote and sang on “Saudade”, one of the many hits of Arsenal. The song would be the band’s first step towards major success. Arsenal consists of the Belgian musicians Hendrik Willemyns and John Roan. Since their debut single “Release” in 1999, Arsenal have released six albums, collaborating with a wide range of international singers and musicians including Mike Ladd, Shawn Smith, John Garcia, Grant Hart, and Johnny Whitney. Whilst rooted in electronic dance music, Arsenal have incorporated numerous other genres of music into their albums, from African and Latin American rhythms to pop, hip hop, and indie rock. 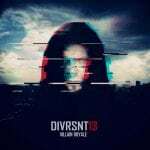 Diversant:13 (aka Divrsnt13) hits back with brand new EP: 'Villain Royale' - check the single previews!